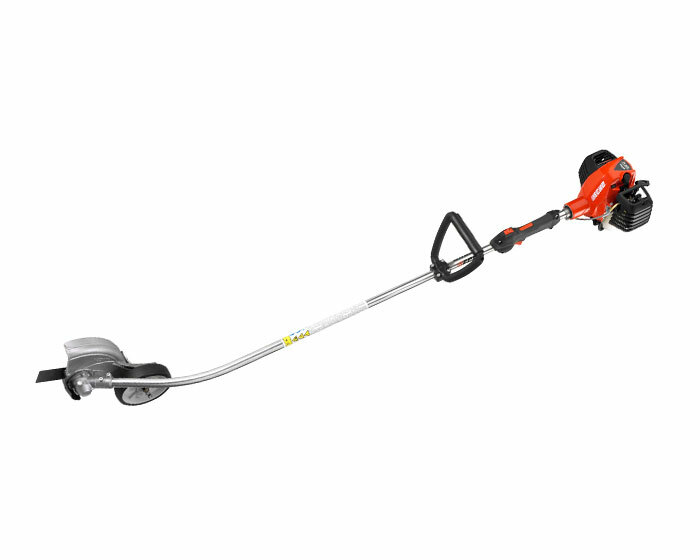 Echo Edger PE-2620 utilizes a 25.4 cc professional-grade 2-stroke engine manufactured from military-grade magnesium. A contoured, aluminum debris shield reduces clogging, while a 2 to 1 gear reduction powers through overgrown grass. The edger’s 2-stage air filtration system increases cleaning capability, providing longer maintenance intervals.